What are EE Bonds and are they worth your time to invest? Let's take a look at how they operate within the market. Recently my father handed me an envelope and said, “I found these in the garage a couple of months ago. They belong to you.” Inside the envelope were three pieces of paper. Not the flimsy paper that we’re familiar with today but the heavy stock paper that feels old and solid. The kind of paper that is meant to last. Those three pieces of paper were Series EE Bonds purchased by my grandparents over 20 years ago, totaling $1050. I’m always happy to receive “found” money, so getting $1050 unexpectedly is great. After all, you only need a thousand $1000 to have a million. In my opinion, it’s even better when the “found” money is something new to me like Series EE bonds. But what are Series EE bonds? And what do I do with them now? Would Series EE Bonds be a good investment today? 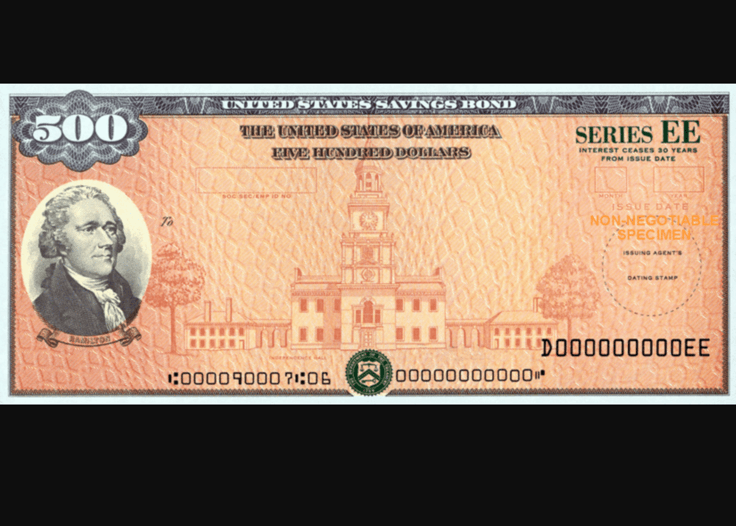 Series EE Bonds are government savings bonds issued by the U.S. Treasury. They were initially issued in 1980 (to replace the Series E bonds) and have undergone many changes over the past thirty years. Bonds issued before 1995 earned a fixed interest rate for the first five years and now earn a market-based rate. Bonds issued after May 1995 and before May 2003 are guaranteed to double after 17 years (effective guaranteed rate of 4.16%) and then earn the rates in effect at that time. Bonds issued after May 2003 and before April 2005 are guaranteed to double in 20 years (effective guaranteed rate of 3.5%) and then earn the rates in effect at that time. Bonds issued after May 2005 earn a fixed rate effective at the time of purchase but are also guaranteed to double in 20 years (effective guaranteed rate of 3.5%). More about the most recent Series EE bonds here. I have no idea why my grandparents bought these bonds, but I’m guessing the fact they double in value made them attractive options. I can see the fun in buying a bond for $250 and giving it to a grandchild knowing that it will be worth $500 by the time they get it. I’m grateful that my grandparents purchased these for me. My first instinct was to cash them in and deposit the proceeds in my taxable investment account. Any “found” money goes straight into the taxable investment accounts without exception. However, looking closely at the results of the calculators I noticed that a significant portion of the bonds are interest. Since I don’t want to pay a 41% tax rate on the interest today, I’ve decided to hold onto the bonds for now even though they are paying a relatively low-interest rate. It’s possible that in the next five years I’ll have a year with significantly lower income, such that I could have a low marginal tax rate. During that year I’ll convert the Series EE bonds into cash and invest them in a taxable account. TreasuryDirect offers an option to convert the paper bonds into electronic bonds, so I thought it’d be fun to go through that process too. I opened a TreasuryDirect account and am now following the instructions for converting the paper bonds to electronic, which involves mailing them into the U.S. Treasury. Once completed, the bonds will be electronically stored in my TreasuryDirect account. Yesterday’s excellent investment option may not be as valuable today. With shifting equity and bond returns, it’s impossible to say what will be a good deal in the future. Interest rates in the late 1970s and early 1980s soared to 10%+. In today’s interest rate environment, owning a bond paying 10% for 30 years would be quite the deal. Today, Series EE Bonds pay an unattractive fixed 0.10% interest. This means they will be entirely overwhelmed by inflation until the magic date 20 years in the future when they double in value (which means you’ll receive an effective rate of 3.5%). Is a 3.5% government backed return over 20 years a good deal? It’s slightly ahead of actual inflation. An inflation calculator shows that $10,000 in 1997 is worth $15,272 today, so you can be reasonably confident you’ll be ahead of inflation with the government’s guaranteed 3.5% return (plus, the government promises the performance, so is about as risk-free as you can find in the market, although reasonable minds can disagree about the safety of the US government’s ability to repay the bond). At the same time, if you looked at inflation from 1977 to 1997, the $10,000 would have inflated to $26,485, meaning you would have lost money with your guaranteed 3.5% return. The problem here is that the 3.5% guaranteed return is nominal and not real. Nominal return refers to the actual return you’ll receive (in our case 3.5%). However, your real return takes into effect the purchasing power of each dollar. It would be much better to have a 3.5% guaranteed real return. If you make a deal with a guaranteed nominal return, you run the real risk that your real return could be less than zero if inflation is above 3.5% over the 20-year term of the Series EE Bond. So, what we know if that investing in a Series EE bond still exposes you to inflation risk. But getting a 3.5% guaranteed nominal return is still a good deal in today’s market. If you purchased a 20-year Treasury bond (i.e. not a Series EE bond) today, you’d only get a 2.85% nominal return, making the Series EE bond’s return look attractive. Keep in mind that the better nominal return of the Series EE bond comes at a price: reduced liquidity. The Series EE bond only pays 0.10% interest annually unless you hold it for the full 20 years to maturity. If you decide to sell it at any point in time before it doubles, you’ll likely suffer a real loss since inflation will almost certainly exceed 0.10%. Since holding the Series EE bond for 20 years to maturity is the only reasonable course of action, the Boglehead wiki suggests that a Series EE bond could be used as a tool to help ensure the delay of Social Security benefits. As a general rule, for every year you delay taking Social Security your benefits increase by 8%, thus making it valuable to delay Social Security payments until 70 if possible. If you buy a $10,000 Series EE bond each year starting at the age of 42 through 48, you’ll guarantee yourself $20,000 of income at age 62, 63, etc. If you’re married, you can buy twice as many Series EE bonds each year, so you could buy $20,000 each year from age 42 to 48 and end up with $40,000 of income. You’re likely to make more money in the stock market and through other investments, but if you believe the US government will be able to honor its commitment, the Series EE bonds look attractive in this scenario where you want a guaranteed nominal return over a 20-year spectrum. The other benefit of Series EE bonds is that they are free of state and local taxes at the time of redemption. Further, your federal taxes are deferred until you cash them, which allows you to delay taxes and could result in a tax arbitrage opportunity since you may redeem them at a time with a significantly lower marginal tax rate. The money can be completely tax-free (federal/state/local) if used for specific educational purposes, which offers another incentive. As for our portfolio, we already have our bond allocation covered by an unusual option in my wife’s retirement account, and I’m still five years away from 42, so the Series EE bonds are not an attractive option for us right now. If you want to dive more into this topic, I highly suggest reading through the 300+ posts in this Bogleheads thread discussing Series EE bonds. There are good arguments for and against such an investment and no better place on the internet to find an in-depth discussion than the Bogleheads forum! Let’s talk about it. Do you own any Series EE bonds? Two thoughts on Should You Invest in Series EE Bonds? You missed one more benefit. They are tax free if used for college education. Might influence when you cash them. What about the I bonds instead of the EE bonds?